The present day Niger-area which is Nigeria, though defunct, was an area harboring numerous people of varying ideologies, cultures and beliefs. They’re people naturally endowed varying degrees of mineral resources. The fact about their mental buoyancy cannot be over emphasized. A people diligent, until their unearthly invasion by the whitemen, whose aim was hidden. When the indigenous People of Biafra, on their own mercurial wit, perceived the wickedness of the invaders and frowned at their destructive tendencies, they nudged themselves off and went to the far northern desert where herdsmen resided. They opened up more ways for the marauding cattle herders who were mainly from Guinea and Niger. The illegal migrants whose characters simulated that of the animals proved their dubiousness when they canvassed within and brought a forceful and vicious amalgamation of animals and man. In furtherance to their mischief, the political and fraudulent colonization with a barbaric religious undertone, was craftily and devilishly handed over to the gullible cattle herders. In all these, the indigenous people of Biafra remained the key determiners to the growth, success and wellbeing of the crookedly amalgamated colony. 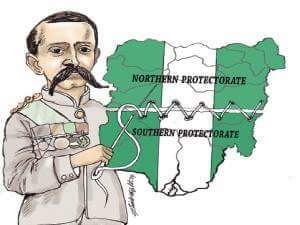 But in the political sphere they remained sidelined as the minor, regardless of the fact that they played key roles towards achieving the independence of the contraption called Nigeria from the white bourgeoisies. The discovery of Biafra’s wealth further brought their divisive and crafty religious trivialities which further hampered our fake union. The indigenous People with their unprecedented scrupulousness and intelligence was made to remain in the dark, they were denied equity, justice and fairness in their own inheritance and thereby reaping them of their natural resources in an atmosphere of callousness even with an already provocative political lopsidedness. The indigenous people in their geniality called for a true independence and federalism and it landed them into an unexpected gruesome genocide which was masterminded by the dubious colonial slave masters. The 1967 - 1970 genocide meted on innocent Biafrans was born out of the slave master's grudges, an avenue they used to spleen their anger on a mere debacle which should have been settled in-house, if amalgamation was meant for the good of the indigenous people. The crooked amalgamation and its cruelty whose disintegration was necessitated by the inherent atrocities, is still concealed by the miscreants while the leakages are obvious. The Illegal migrants in whose hands the conscienceless, ingratitude colonialists left the political power have continued to be a disaster to the fraudulent union. They have continued incessant attacks against the indigenous people. The colonialists see the daily massacre of innocent harmless Biafran protesters by the Nigerian armed forces, they see the unlawful detention of Biafrans including their leader - Nnamdi Kanu, they see the persistent killing of Biafra agitators, yet they turn blind eyes. They hear the cry of the maimed, yet, they turn deaf ears. But they choose to predict a possible war that would lead into disintegration in order for their weapons to sell. What a heartless set of duplicitous colonialists? The genocide which ended with a deceptive “no victor no vanquished” slogan, proved to be a mere hiatus between the two enemies since the needful was never done as a matter of peace and justice. The western bourgeoisies are very much conversant with the plight of Biafra but still they have the effrontery to rig the country's election and installed their gullible and malleable tyrant Hitler Buhari of Nigeria who is understandably a puppet. Buhari the sitting president of the faded and failed contraption called Nigeria, who fought the Indigenous People of Biafra with the utmost passion of hatred, could have made a giant stride by allowing the indigenous people of Biafra, a befitting independence, since he acknowledged the right to self-determination of the people of Palestine and of Western Sahara. What is good for the goose is equally good for the gander. If dictator Buhari was a conscientious man who would like to right the wrongs of his ugly past, he would understand the difference between his old days of analogue war when compared to the possibility of a modern age digital war. At his grand age, he should rescind his steps and do the needful. Self-determination is an inalienable right of the Biafran people and that we must achieve.